San Francisco police suspect that two separate groups of young people have assaulted and robbed Muni riders in the last two weeks. The latest attack in what has now become a worrying trend occurred at Market and Kearney streets during Thursday evening's commute. Young women allegedly surrounded a woman on the 8 Bayshore line, police said. When she tried to call 911, one of the suspects punched her and another stole her phone. The group then ran away. "That’s surprising and concerning," said San Francisco resident and Muni rider, Emily Yu, who expressed surprise that women ganged up on another woman. Yu admits that she is always on the lookout. She may put on her ear buds, but isn't actually listening to music. “So I can hear and I am aware of my surroundings,” Yu said. 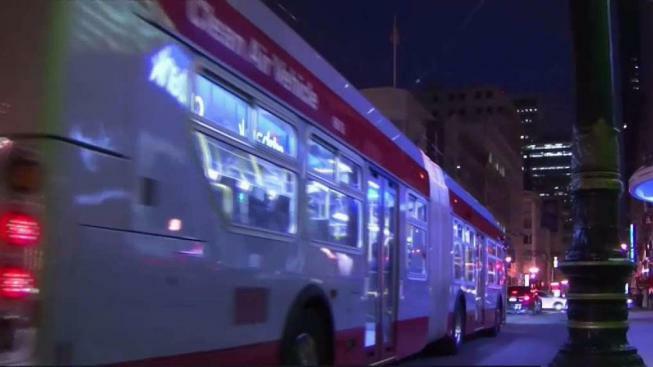 Last week, police say a group of 10 young men jumped a Muni rider at Market Street and Van Ness Avenue. They assaulted him and made off with his phone. Investigators are reviewing video from the buses in both cases, hoping to identify suspects. The SFMTA said it is working closely with the San Francisco Police Department.